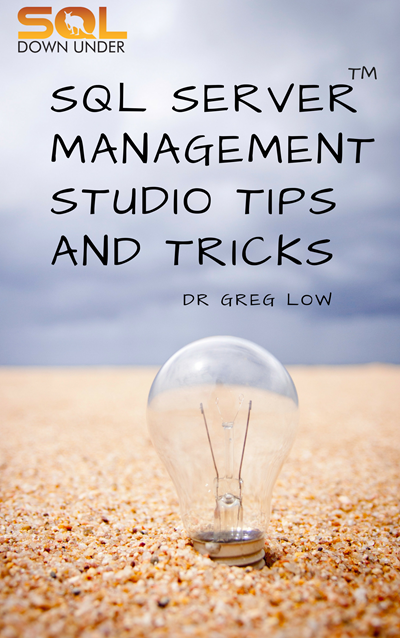 SQL Server Management Studio (SSMS) is a great tool for working with SQL Server relational databases but it can do much more than that. For a long time, it has been able to connect to Analysis Services to manage SSAS databases, both tabular and multi-dimensional. 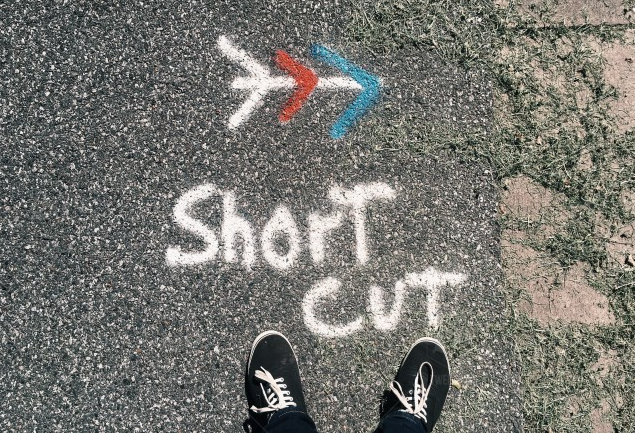 It can connect to Integration Services but that's to the older style interface for SSIS. Nowadays, you should use the SSIS Catalog instead. 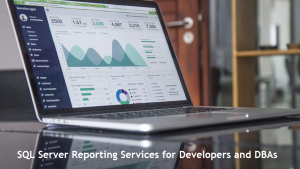 There are a few items that you can configure via the Reporting Services connection as well. 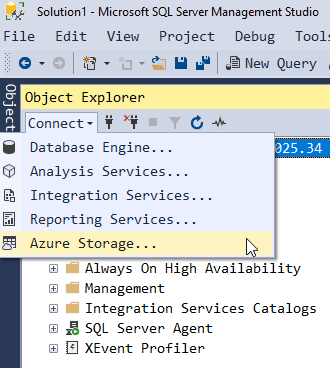 One option that is often quite unexpected though, is that you can connect to Azure Storage. Here's an example. After I click Azure Storage, I'm prompted for the storage account and the key. This can be the primary or secondary account key. (Note that it can't just be a shared access signature connection). 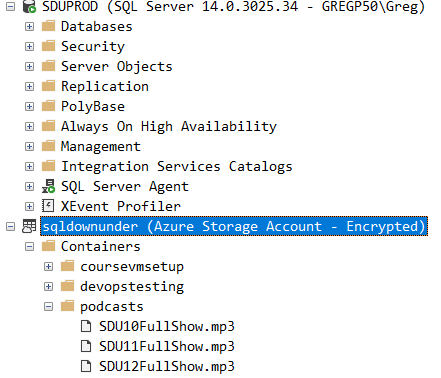 Generally, I would use Azure Storage Explorer to manipulate these storage accounts, but this option can be useful if you are using BACKUP TO URL and you need to just check the backup files that you are creating.